Water baptism is your way of saying “I’m following Jesus.” But it’s also more than a symbol. It’s a celebration! At Living Oaks, we want to celebrate with you. We would like to stand with you as you publicly declare you have made the decision to follow Jesus. The following is our attempt to answer some frequently Asked Questions about Baptism. If you still have questions after reading these answers, please feel free to contact one of our pastors. It illustrates Christ’s death. burial and resurrection. All instances of baptism follow an individual’s decision to trust Jesus alone for their salvation. At Living Oaks, we wait until children are old enough to believe and understand the true meaning of baptism before we baptize them. When a child makes a decision for Christ, we gladly baptize them as a symbol of their faith in Christ. If you have been baptized since giving your life to Christ, there is no need to be baptized again. Genuine baptism is needed only one time in a person’s life. Once a person has been baptized according to the full complement of scriptural instructions, he or she never has the need to repeat this new-birth process. After a person has entered the family of Christ through baptism, he or she is a part of the church, the household (family) of God. Dress in clothes you don’t mind getting wet! You should wear a dark shirt and shorts. Remember to bring a change of clothes to wear home. There are changing rooms available. Avoid make-up as well. Living Oaks Church will provide you with a towel. 1. What was your life like before Christ? 3. How has your life been since you got saved? 4. 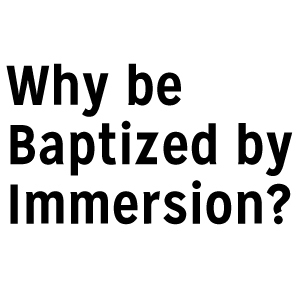 Why are you getting baptized? (Relax) Don’t worry too much about these questions because our Pastoral staff would love to get together with you and talk things through. How Do I Register? Click on the button below.